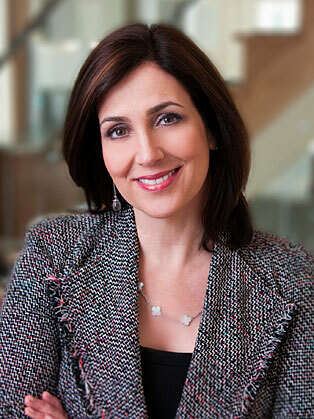 Joanna Shields is best known for her involvement with business companies Facebook, Google and AOL to name a few. Joanna Shields, (often referred to as Baroness Shields) is an Anglo-American entrepreneur, business investor and since 2014, a British parliamentarian, sitting on the Conservative benches in the House of Lords. Joanna Shields was born in Pennsylvania and studied Business Studies at Penn State University. Since 1987 she has developed and grown some of the world’s bet known technology companies including AOL, Bebo, RealNetworks and Facebook. She was Vice President and Managing Director of Facebook in Europe, Middle East and Africa, prior to which she served as President of People Networks at Aol, a position she assumed after the acquisition of Bebo by Time Warner's Aol unit. At Bebo, Shields was CEO, leading the company's growth to 50M users and eventual acquisition for $850 million. Prior to this position she worked for Google as Managing Director of Europe, Russia, Middle East & Africa. In October 2012 Shields was recruited by Prime Minister Cameron to lead HM Government's Tech City initiative and become the UK's Ambassador for Digital Industries. Shields was appointed OBE in the 2014 New Year Honours List for "services to digital industries and voluntary service to young people". In 2013, Joanna was asked by the Prime Minister to lead a UK/US Taskforce to combat online abuse and exploitation. To fulfill that mission, she created WeProtect (www.weprotect.org), a global alliance of over 60 countries, law enforcement agencies, NGOs, civil society organisations and technology leaders aimed at developing technology solutions, national response systems and global cooperation to eradicate child abuse and exploitation from the internet and to bring perpetrators to justice. In May 2014, following the UK General Election, the Prime Minister appointed Baroness Shields Minister for Internet Safety and Security. She serves as a joint minister between the Home Office and Department for Culture, Media and Sport as Under Secretary of State. Her Ministerial remit is to make the internet safer by working to curb online abuse, exploitation, access to harmful content including terrorist and extremist material and to promote safe, open access to the internet for everyone.